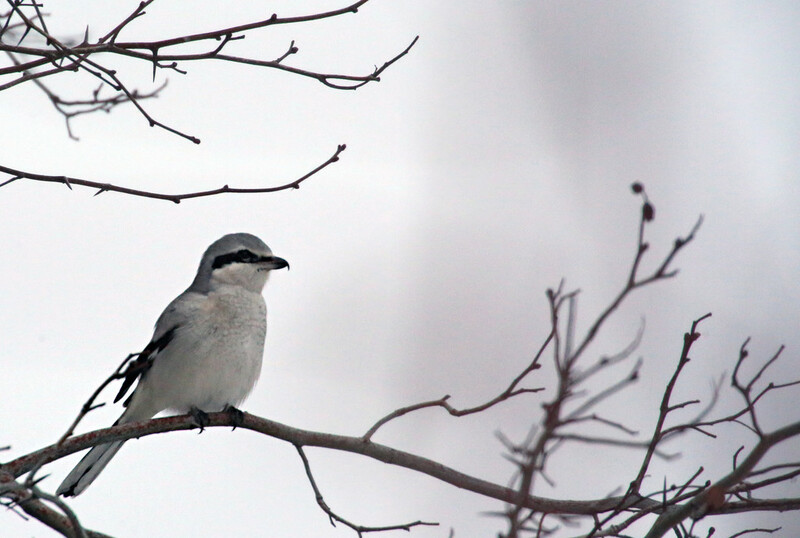 I am thinking this is a Loggerman Shrike. He just flew in and sat so nice for me. I did not have the heart to charge him a sitting fee. God's creation is wonderful to see in each season. Wonderful capture. Looks great in b&w. Thanks. But this is colour!! The colour of the bird and the snowy day with fog and just before dusk make it look b and w.
No treatment... just the weather and the bird. dit lijkt mij een mooie klapekster eenvoudig maar klaar weergegeven. He’s beautiful and so is the scenery around him. Great capture and a lovely little bird.